Over the River and Through the Woods… Across the Country We Go! The holiday season is quickly approaching. And, if your family is like ours, you’ll be traveling to destinations across the country to share holiday cheer with as many family members as you can fit in to one jam-packed season! The holidays are all about family and traditions. So, the last thing you want to do is miss out on one of your family get-togethers. But, how do you keep your family healthy during all of your travels? There are a few tips and tricks that can give your family a heads up on staying healthy, even when you’re on the go! Squeeze in exercise whenever and where ever you can. 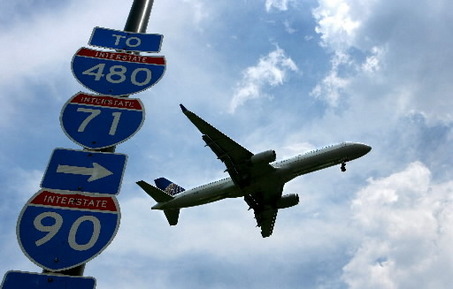 Get creative with it: If you’re flying, try walking the airport terminals between flights. If you’re driving, when you stop for a break, race your kids around the car a few times to get everyone’s blood flowing and hearts pumping a little faster. This is a much better alternative to seeing who can pick out the most sugary snack at the convenience store. Limit yourself to one sweet a day. It’s tough when your Aunt makes the best chocolate chip cookies ever and your Grandma makes a pecan pie that you may be willing to trade one of your kids for! But, try setting a goal that you will only allow yourself one sweet treat each day. Remember, you can always take some home to enjoy throughout the following couple of weeks. Alright, are you ready for your healthiest holiday season yet? Providing resources that will help you stay healthy is our #1 goal. That is why we have compiled the best list of health and nutrition education resources available. Be sure to visit www.ncescatalog.com to view the latest, greatest nutrition products, including our Holiday Gift Baskets… wrapped and ready to give! 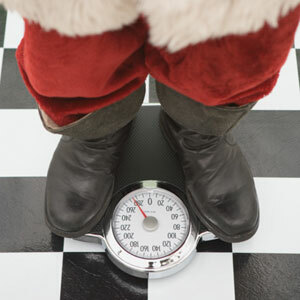 2011 Is the Year YOU Will Stay Healthy for the Holidays! Are you tired of saying ‘THIS is the year I will stay healthy for the holidays’, only to get consumed with all of the unhealthy habits that run rampant throughout the holidays? It can definitely be a frustrating experience. But, this is your year… we’ve compiled a list of ideas to help you avoid unhealthy holiday habits and stay on the path to a healthier you! Cut the fat! Remember, there are so many substitutes you can use in your foods to cut the fat. In many recipes, you can replace oil with applesauce. Plus, it’s always a great idea to use egg substitutes instead of eggs. Continue to exercise! With all of the Christmas parties and family get-togethers, it is hard to keep your workout routine. But, find a buddy and commit to working out at least 4 times per week. You can help hold each other accountable. Don’t over indulge! Who can resist the platefuls of homemade fudge, gallons of holiday Wassail and Santa’s cookies? I know I can’t! The key is moderation… enjoy your favorite foods in healthy portions. And, if you do over indulge, be sure to make up for it in the gym! Remember the E.I.E.O theory, Energy In (food) needs to equal Energy Out (exercise). Although we are pretty proud of this list, we understand that there are many other things you can do to stay healthy during the holidays! What do you do? We’d love to hear about your ideas for staying healthy this holiday so we can all start 2012 on a healthy foot! Share your thoughts here on the blog, on Facebook or on Twitter! Cant’ wait to hear from you! As promised, we’ve been working hard on getting together some information on Food Safety! Let’s be honest, how many days after Thanksgiving did you continue enjoying those holiday leftovers? Some of you probably have them packed for lunch today! Well, I’ve got some disheartening news for you… TUESDAY was ‘Throw Away your Leftovers Day’. That’s right, Tuesday… as in TWO days ago! So, if you haven’t yet, stop reading this and go throw away your leftovers. It’s okay… we’ll wait until you get back! Okay, now that you’re back, let’s talk about why you shouldn’t still be eating your Thanksgiving leftovers! BACTERIA! So often, we think of bacteria when we see mold growing, or brown spots appearing on fruits and vegetables. But, the truth is that bacteria grow on so many foods while you can’t see, smell or taste it. You’ll have no idea what type of viruses or parasites that you are putting in your body. These bacteria can cause very serious foodborne illnesses, especially in children, the elderly and those with weak immune systems. So, what do you think? Is it really worth it to clean up every piece of that leftover turkey or pumpkin pie? So, did you skip that last opportunity to go throw away your leftovers? Now is your chance… It’s not too late! 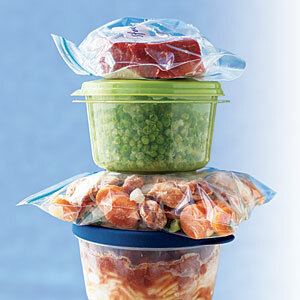 To learn more about food safety, and keeping your family safe, be sure to visit www.4DayThrowAway.org. Plus, as always, you can visit the Food Safety section of the NCES website. We want to hear from you! How long do you continue eating leftovers after the holidays? Share your response here at WordPress, on Facebook or on Twitter. Here is a cute video to remind you of the 4 Day Throw Away rule!